Jaya Guru Datta. Very happy to receive the next divine wave of SGS MMS. Thank you Appaji for the blessings in the form of these messages. jaya guru datta sree guru datta Appaji , many many thanks to YOU for continuing and bless us to utilising this oppertunity. Jaya Guru Datta, Thank you very much Swamiji for blessing us with these wonderful SGS MMS’es on your holy birthday. Your birthday signifies birth of light (knowledge) that destroys darkness. SGS MMS’es that emerge from you (Sun) are like rays of Sun lightening each and every corner of the universe. Very wonderful message. Yes concious tell us what is right or wrong. Pragnanam Brahma !!! God is witness as conscience !! Jaya Guru Datta Appaji. Yes Appaji our inner will tell that be careful appaji is watching you every minute. Many many happy returns of the day once again..
Jaya Guru Datta & Happy Happy Birthday Appaji_/\_!! The sun is always there..we may think it has set due to our ignorance.. Appaji is always there in us and around us..
ThankYou Appaji for Blessing this universe again with MMS! Feels great to be back here! Jaya guru datta.Thank you appaji, to continuing this MMS program.Sri guru datta. Thanks for the return of the amazing gift. Thank you so much Appaji for restarting precious sgs mms. This time we will try to be one of the lucky winners. Thanks for the return gift. Jaya Guru Datta Appaji, the first MMS from the second season was awesome. It is the conscience that drives and is definitely the God within. Thank you for every new MMS! Welcome for MMS 2!! Thank YOU for giving us conscience. Jaya Guru Datta! 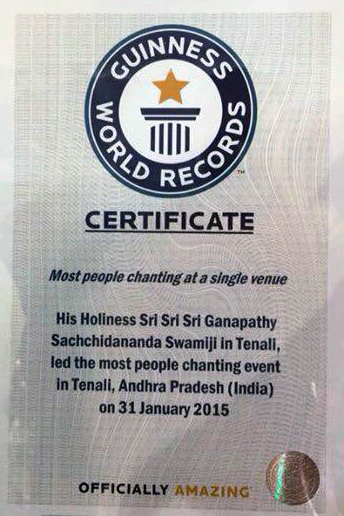 Wonderful Birthday GIFT to all around the Globe again of our Beloved Holiness! Thank You for starting new round of MMS! Heartfelt Pranams to Your Lotus Feet! Jaya Guru Datta. Happy Birthday to Appaji. We are glad to receive this MMS msg again. We are blessed. Om Namo Hanumathe Namaha. God is in my heart, Sri Swamiji is in my heart. My heart is my conscience. Welcome MMS 2 . . .
jaya guru datta. 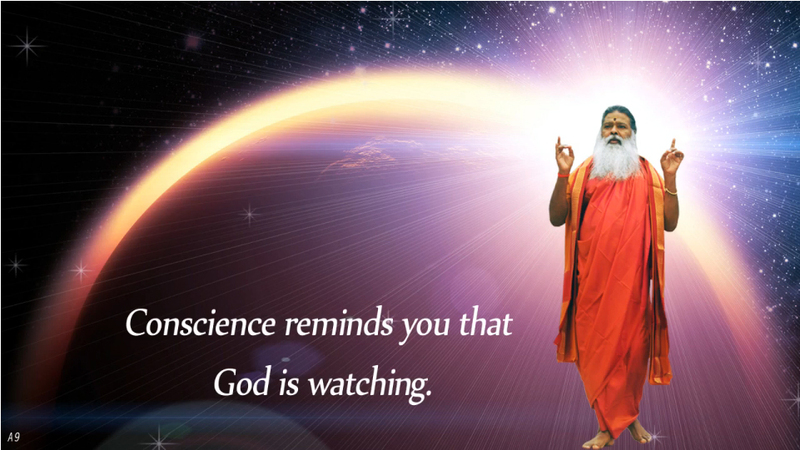 swamiji always watching us. So happy that the messages are back again! yes, indeed! Like children steeling candies and fear that mother is coming – conscience is good for protection and not do wrong. We can not hide – God sees and hears everything. That helps us to grow the right way. The ultimate truth.Om Namo Hanumate Namaha. you are the god to those who are living on the earth appaji…. you are the truth…… you are the only god watching appaji …. Thank you for starting the MMS messages. God resides in our heart and is watching us all the time. Thank you Appaji for starting the SGS MMS. O Guru God please always watch. JAYA GURU DATTA! Shathakoti pranams to lotus feet of parama poojya Sri Sri Sri Ganapathi Sachidananda Swamiji. Thank u Appaji for sending valuable MMS. SRI GURU DATTA!